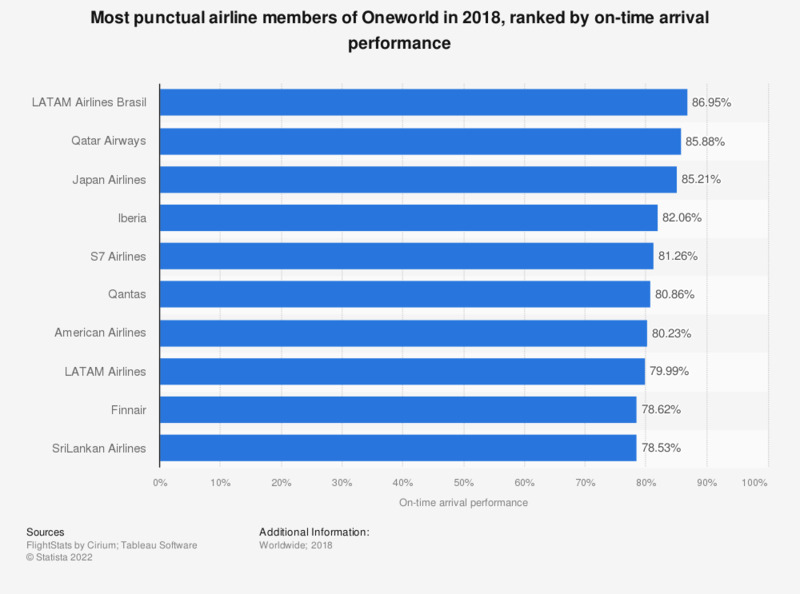 This statistic gives the most punctual airline members of Oneworld in 2018, ranked by their on-time arrival performance. LATAM Airlines Brasil was ranked as the most punctual airline in that period, with close to 87 percent of their flights arriving on time. Women: What are your preferred ways to book a trip?